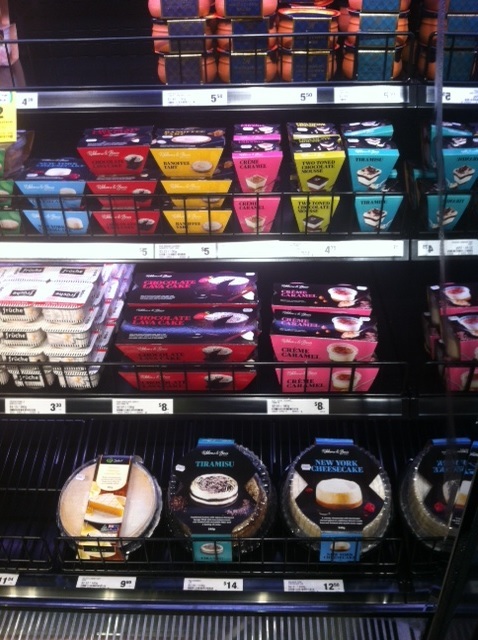 Ribbons and Bows Cakes is delighted to be supplying Woolworths metro stores with a range of cakes and desserts. The response from customers in Melbourne and Sydney has been wonderful. The range includes “ready to go” small desserts in stylish cups and containers, as well as larger cakes – ideal for an office gathering or home entertainment with family and friends! Take them to the office or home and enjoy – no preparation or plates required! How’s that for convenience! The range of desserts in cups includes chocolate and caramel mousse, two toned chocolate mousse, tiramisu and crème caramel. Other small cakes include New York cheesecakes, chocolate lava cakes, sticky date puddings, lemon tarts and banoffee tarts. The large cakes include cheesecakes, tiramisu and lemon tarts. Check out the Ribbons and Bows Cakes range at any Woolworths Metro store in Melbourne and Sydney.